Well i hope you like the new banner and logo for Michigan Spiders. 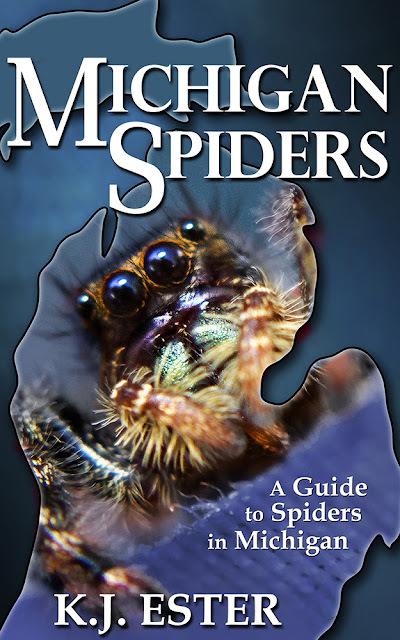 When Karri Klawiter bought Michigan Spiders, the Ebook, she noticed right away that the cover could be so much better. 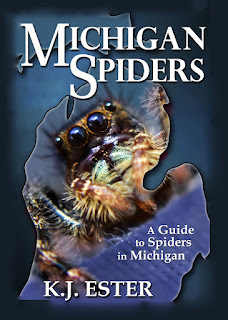 Being a Graphic Artist, and a very good one in my personal opinion, she emailed me and offered to create me a new book cover image for Michigan Spiders free of charge. Simply because she loves spiders, appreciated the book and site and most of all, she has a heart of gold. 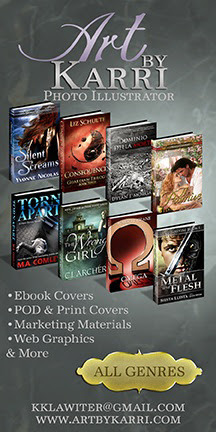 Well she sent me the new cover image, which I am extremely happy with, and to my surprise, she also sent me a Banner image for the site as well as a few others I will display in the future. I have re-submitted the Ebook with the new cover image and it is now available. Amazon .... At this time, Michigan Spiders is NOT available at Amazon. I am working on that. However, you can still find my other books there. Please feel free to leave a comment with your opinion of the new image. How can I contact you about a spider I found? Hi, I'm a former Michigander who now resides in ohio. When we moved here in 1990's I was mowing the grass with a push mower near a creek on the edge of woods. This tarantula looking spider jumped on my lawn mower ran across the top a ran in front of the mower till it disappeared into the woods. I have a serious fear of spiders so I assumed that in my fear I imagined that this thing was bigger than my hand. Flash forward, I'm a dental hygienist and was talking about this horrible spider bite my patient was recovering from at work. Turns out his place of employment was a door factory across the street from where I saw my spider. He informed me that on a regular bases the wood planks from South America have the biggest spiders he's ever seen smashed between them. Every once in a while one is alive and a few have escaped. In 25 years he's worked there there have been about 10 unconfirmed bites and one fatality due to infection!! !